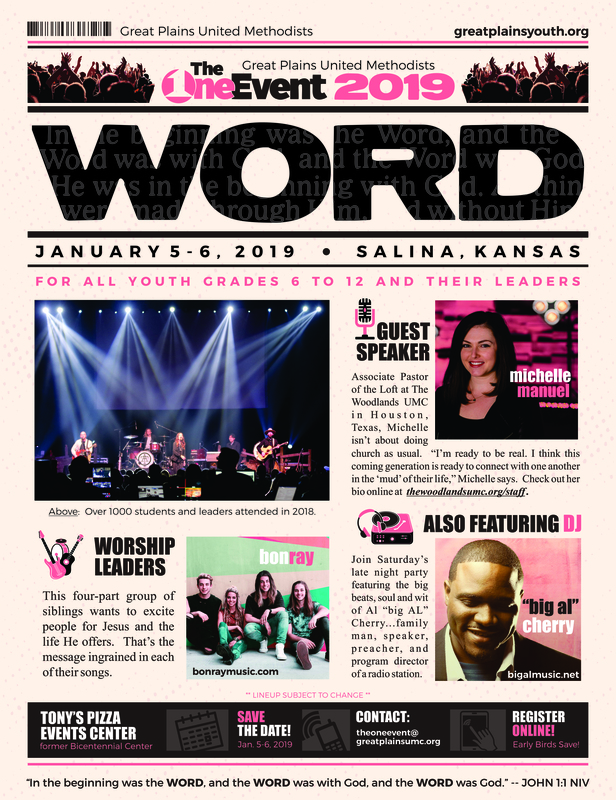 Join us Jan. 5-6 2019, in Salina, Kansas. Early registration is closed. To register for The One Event, please call Donna Ernest at 785-414-4242. Every person attending The OneEvent must bring a completed health form. Download the form here.